Many of us spend hours everyday communicating with our customers, prospects, friends, and colleagues on Twitter. Twitter is also a great source of useful information and can be used as a news tracking service too. 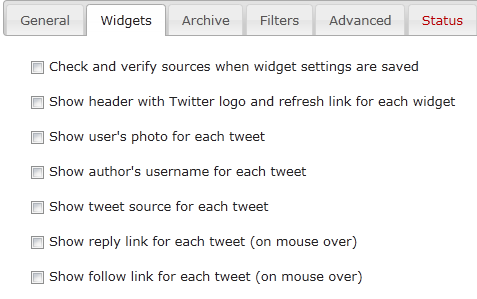 There are plenty of Twitter plugins that let you add your Twitter updates to your website fast. Many of these plugins are limited in many ways. 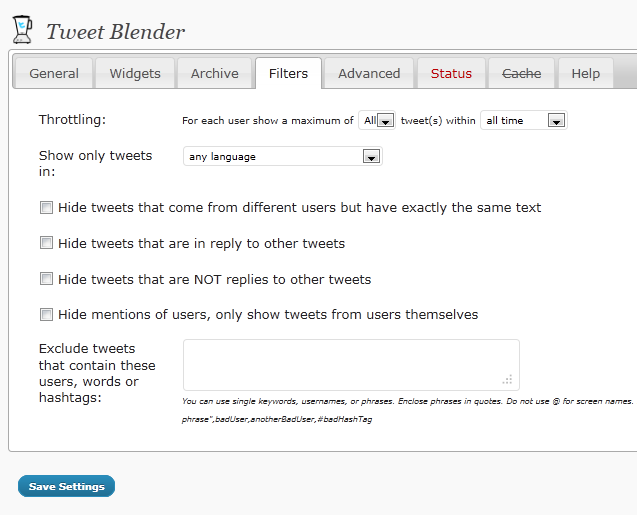 Tweet Blender is one of the most powerful Twitter plugins that we have tested. It has a ton of options to allow you to get the most out of Twitter on your website. Tweet Blender lets you display your Twitter updates on your website easily. The plugin is tag aware and allows you to filter your updates based on lists, authors, hashtags, and keywords. Have multiple Twitter accounts for your website (one for each author)? You can use this plugin to display all your updates on your website. You can customize this plugin’s behavior to your heart’s desire. Worried about its SEO effects on your website? Just choose the appropriate option from the “General” page to keep your site protected. Widgets can be fully customized as well. This script provides support for non-English hashtags and filter words. If your web server is white-listed, you can choose to re-route Twitter traffic through your own server. It offers database-caching, so your site’s performance does not get affected significantly if you choose to install this plugin. 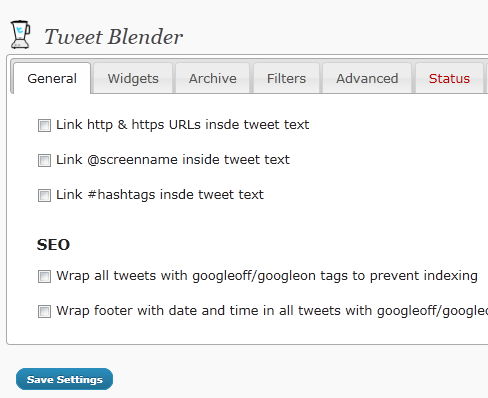 Tweet Blender has multiple widgets to give you flexibility when it comes to adding tweets to your website. Tweet Blender for tags grabs your tags and shows tweets related to those (pretty neat). 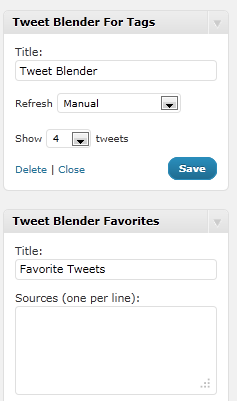 If you are using Twitter heavily and want to include your updates on your website, Tweet Blender is worth checking out.